Are you searching for the best Colorado accident lawyer? “Accidents” happen all the time in Colorado. Sometimes, though, these incidents aren’t “accident” at all. Whether you’re hurt on the slopes or driving down the interstate, you may be entitled to compensation for your injuries or losses if negligence played a role. 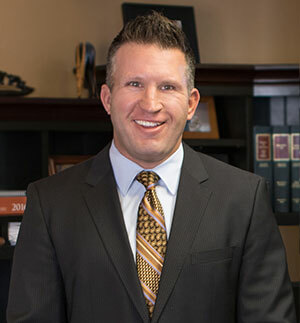 The Babcock Law Firm specializes in all types of personal injury and accident cases throughout the state of Colorado, including car collisions, motorcycle wrecks, truck crashes, pedestrian/bicycle collisions, drunk driving accidents and many others. The challenge with finding the best Colorado accident attorney is narrowing down the list. One way to start is by looking at each lawyer’s client testimonials. We invite you to look at a few of our own before contact our award-winning Colorado accident law firm. Rated 5 out of 5 stars Based on 56 review(s). Description: Retained for representation after client fell at work and broke his ankle. Assisted client and his wife to understand the workers' compensation claim process and obtained a final settlement when he wanted to get out of the workers' compensation system. "I got injured on the job and Stephanie helped me get my pay check on time, meds for my pain as well the right doctor's I needed. I strongly recommend The Babcock Law Firm LLC if you need a great attorney that will get the job done in a timely fashion. " Description: Represented injured worker following denied hernia surgery and wage loss benefits. Description: Obtained denied treatment for worker with injuries to his head, neck, shoulder, eye, and knee obtaining a settlement for him following his recovery from surgery. "Thank you to all at The Babcock Law Firm for all of your concern and professionalism. The experience was second to none and I would definitely recommend their services. Thanks again." Description: Assisted in getting necessary medical treatment and a final settlement through workers' compensation for concussion, head and neck injuries due to a motor vehicle accident while driving for work. "I was referred to the Babcock Law Firm by a family member , as I had no experience nor any knowledge in these matters. Well, I am fortunate that their advice was spot on . I would have no reservations about either recommending ,or utilizing their services in the future. I found every member of their staff to be both polite,and friendly. Thank you for your help. C Vigil"
Description: Retained by injured worker when he was put at Maximum Medical Improvement (MMI) with permanent work restrictions. "I was very satisfied with the representation I received. Very knowledgeable and professional. I highly recommend The BABCOCK Law Firm. Sincerely, AM"